Add the names / words here if you chose to add engraving above ($5). The 30 characters mentioned below refer to the text box on this page, not the board. 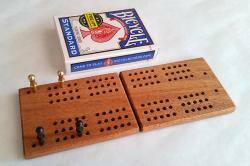 Here's the smallest board we make which you can order in a choice of woods. It measures approx 2.5" wide, 7" long when open and just over 0.3" thick. 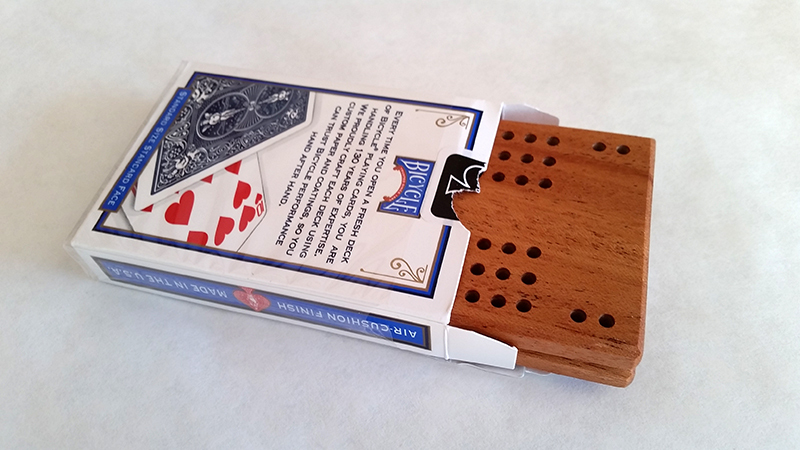 When folded, it fits in a standard deck of cards box. The tracks are slighty different from a standard board. You get three streets of 20 holes (60 in all) and to play to 120, you repeat from the beginning once. This allows us to fit the holes far enough apart to peg easily with the included standard metal pegs. The board can also be engraved between the start holes or up the center with a name or similar. 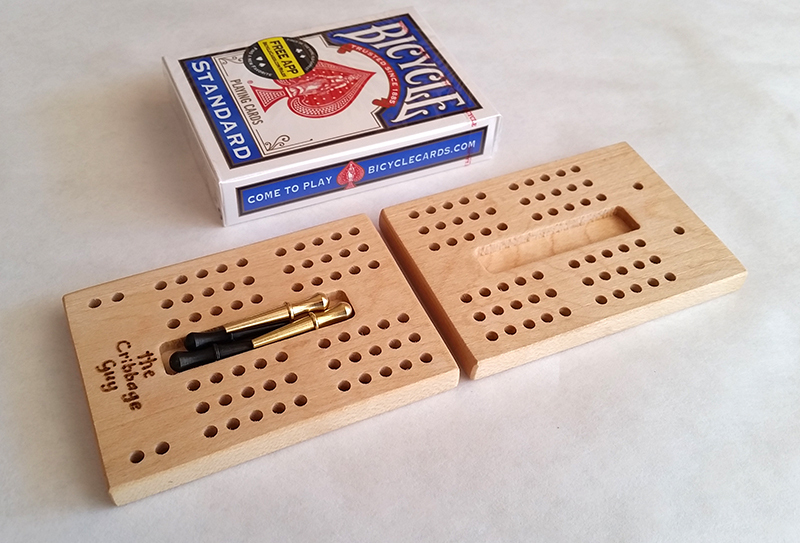 The four metal pegs live inside an open recess inside the board when it is stored in the card box provided. 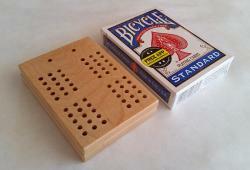 The board comes with a new deck of cards too, meaning this product is ready to play and makes a perfect gift. All the edges have a slight chamfer adding to the style of the board. 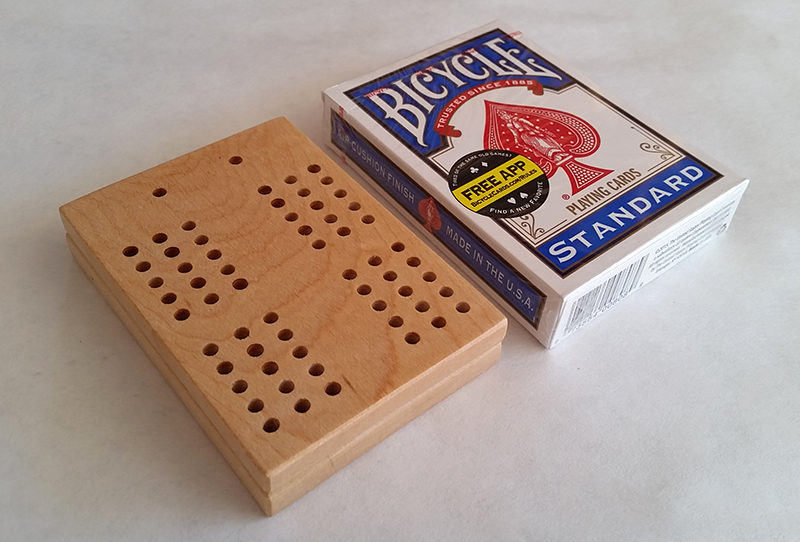 After sanding smooth, this board is brushed with shellac to protect the wood. There are no hinges or magents on this board. You just lay out the halves next to each other and play. Any slight movement of the halves during play can easily be rectified.